Finally making an appearance！ Efreet Schneid, equpped with 14 heat darts, in 3D form!! 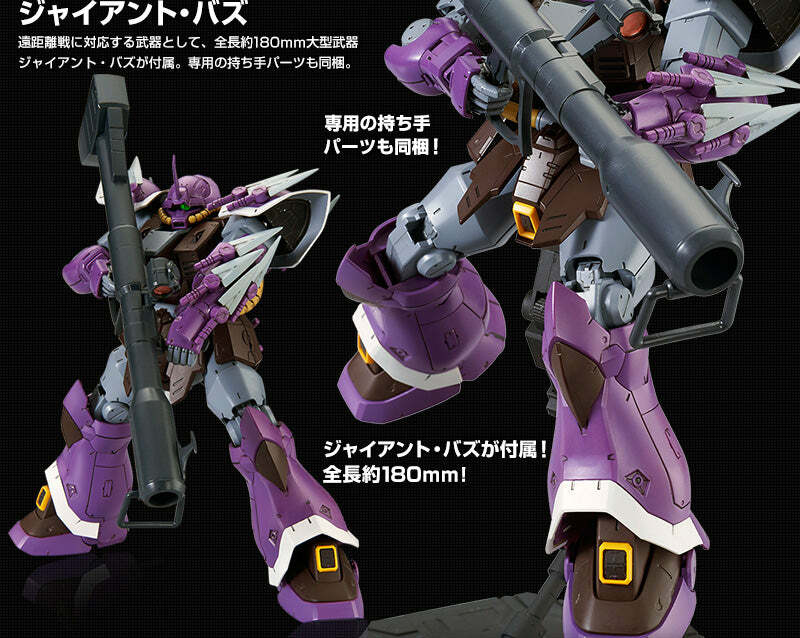 －－－－－ From “MOBILE SUIT GUNDAM UC”, Efreet Schneid, equpped with 14 heat darts, has been made into a product for the RE/100 series. 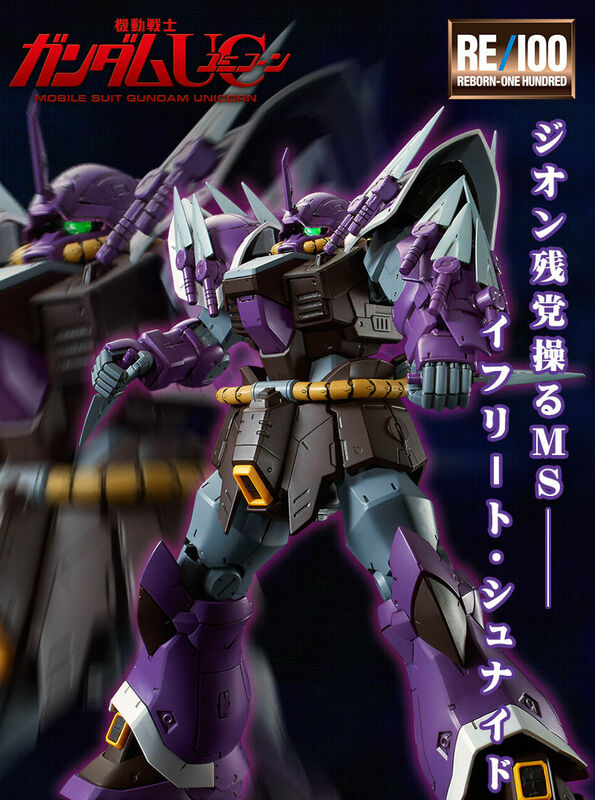 With characteristic aramanents added, thoroughly replicate the MS body configuration! Giant Buzz is attached too! ●　Replicate characteristic armaments! It is possible to stage the 14 impressionable heat darts through the new molding applied onto the sword, and maunt them onto each piece of armor. Large-scale Giant Buzz also included. ■■Heat Darts Realistically replicate the form of the short sword "heat darts", which can be used as throwing weapons. With this kit, it is even possible to equip each of the four darts for carrying onto the left and right shoulder armor, four darts onto the left arm, and two darts onto the back portion.Each of the heat darts can be dismantled. *Of this product's 14 heat darts, 12 darts are for mounting, and two are for carrying for auxiliary use. *The posted pictures are painted. 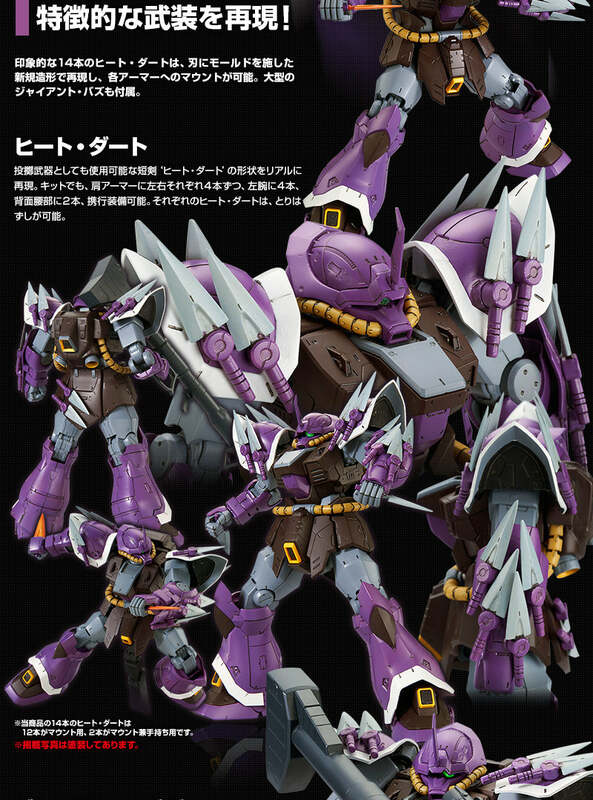 ■■ Giant Buzz Comes with the 180mm long large-scale weapon Giant Buzz, a weapon that supports long range attacks. Can be combined with special handheld parts. ●　Thoroughly replicate the form of the MS! 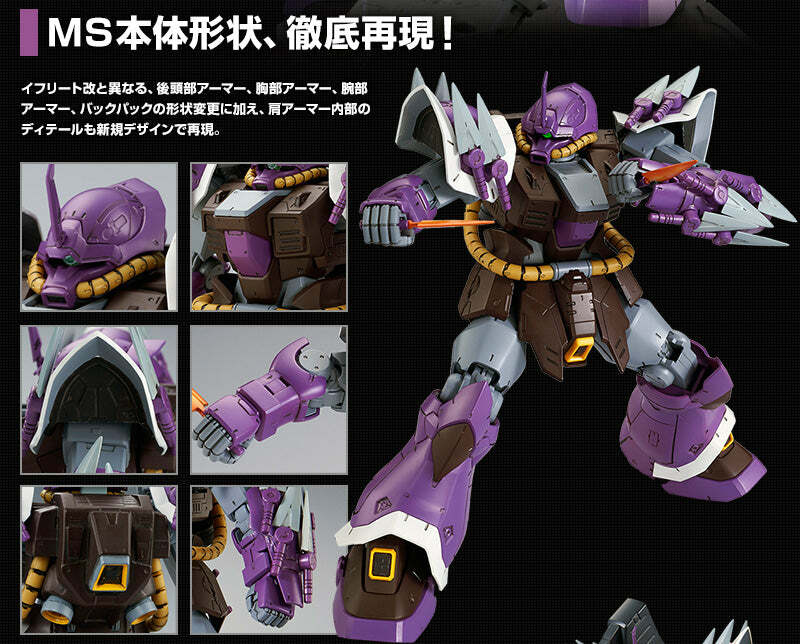 Replicate the new design and inner armor details, with added shape changes of the backpack, arm armor, chest armor, and rear head armor that differs from Efreet-Kai. Weapons　：　Heat Darts ／ Giant Buzz －－－－－－－－－－－－－－－－－－－－－－－－－－－－－－－－－－－－－－－－－ 1/100 scale assembly plastic model For ages 15 and up. Primary materials: :PS･PE ･No adhesives required for assembly －－－－－－－－－－－－－－－－－－－－－－－－－－－－－－－－－－－－－－－－－ *The product shown is painted.and is a prototype in development.The actual product may differ slightly. (Notes) ･This product can not be found in shops that sell model kits. ･This product may be on sale in events or other projects held by our company. ･There are only a limited number of this product available for sale on 'PREMIUM BANDAI'.We ask for your understanding in the event that the product is sold out. ・Please note that for this product, due to circumstances related to the number of produced units ready, we are limiting the quantity available for purchase per person. ・For this product, the shipping date is subject to change in some cases depending on application status and production circumstances,. Thank you for your understanding. ･Product images are of a product in development, and they may differ from the actual product. ･The product specifications are current as of june 2016. We ask for your understanding as they may be subject to change.